The answer is quite simply, Absolutely not. This week, it was reported by the Wall Street Journal that Google would fold the Chrome Operating System into Android. This got everybody talking and wondering if this is the end for the Chromebook. Chrome OS is one of the most stable and secure operating systems out there. Chrome is built with security in mind. It’s a great tool for schools and businesses alike due to it’s simplicity, ease of use and price. Android on the other hand is another story. 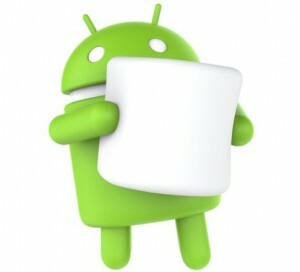 Even though Android is the most used operating system in the history of the world, it can be one of the most insecure. Why? Because of the way it’s distributed. There are hundreds if not thousands of Android Phone and Tablet manufacturers out there. Many of them have their own versions of the Android OS running. For instance, I currently use a Samsung Galaxy Note 5 which I think is a great phone. When Google updates Android to a new version, like they did recently to Android 6.0 Marshmallow, my phone doesn’t get the update right way. Samsung doesn’t use a “Vanilla” version of Android so it can’t just give me the update. It has to first, take the update and adapt it to use their own custom version of Android which they call TouchWiz. So, I might not get the new update for months after Google creates it. Marshmallow is a big update. There are also many small security updates that have to go through the same process. Samsung, being a big player, does a pretty decent job at keeping me updated but what about all the other hundreds of manufacturers out there? Some of them don’t ever do an update. That is one of the reasons why Android can be very insecure. If Google could find a way to run Android OS more like Chrome OS, that updates automatically anytime it needs it, it could have the best of both worlds. I believe that is what they are working on. What if they created a new operating system called “Google OS” that would be secure like Chrome but could be used in both computers and phones. It would be the best of both worlds. Many people believe that this is what is happening. For years Google has been building one new operating system that contain the best parts of Android OS and Chrome OS. The Chromebook could run the “Play Store” which would make over a million Apps available to it. This would make the Chromebook a far better tool than it is now. Android Phones could, for the first time, be very secure with automatic updates coming straight from Google itself, without the need to go through the manufacturer.